in our midst, clandestine. We slept together. It breathed in the cavities of our dreams. code consuming the walls, the ceiling. with each clicking cycle I held my breath through. slice by slice with it inside. hole – and we stretched out forever. Polly Atkin’s debut poetry pamphlet bone song (Clitheroe: Aussteiger, 2008) was shortlisted for the Michael Marks Award, 2009. Her second poetry pamphlet Shadow Dispatches (Seren, 2013) won the Mslexia Pamphlet Prize, 2012. 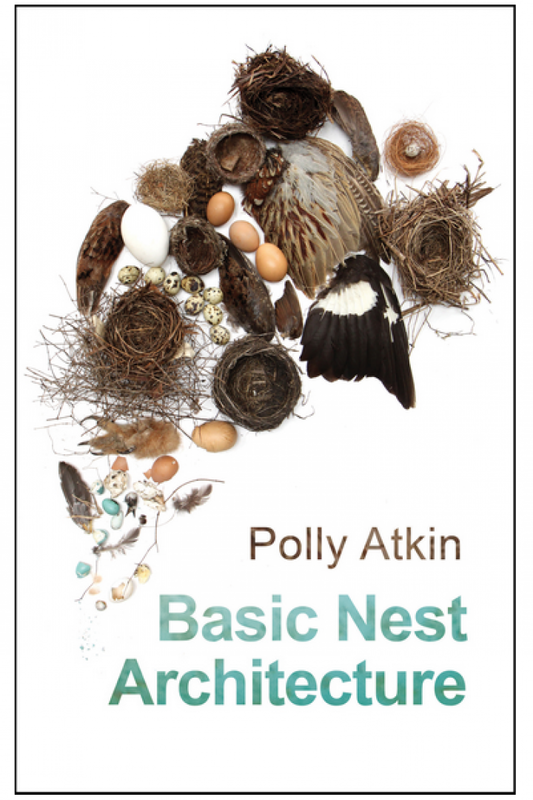 An extract from her 2017 first collection, Basic Nest Architecture, (Seren) was awarded New Writing North’s 2014 Andrew Waterhouse Prize for ‘reflect[ing] a strong sense of place or the natural environment’. She has taught English and Creative Writing at Lancaster University, and the Universities of Strathclyde and Cumbria.